The Mediterranean is a melting pot of unique cultures, golden beaches and historical landmarks – all of which have been blended together to form one of the most popular holiday regions in the world. If, however, you are looking for a somewhat quieter and more pristine experience this summer, you may be interested to know about the additional range of cruise opportunities available out of the UK to the Greek Islands. Lines including P&O Cruises, Fred. Olsen Cruise Lines, Princess Cruises and Cunard will be operating sailings out of the UK to these islands. This week, Cruises from the UK takes a closer look at some of the destinations you can visit on a selected Greek Islands sailing in 2018. 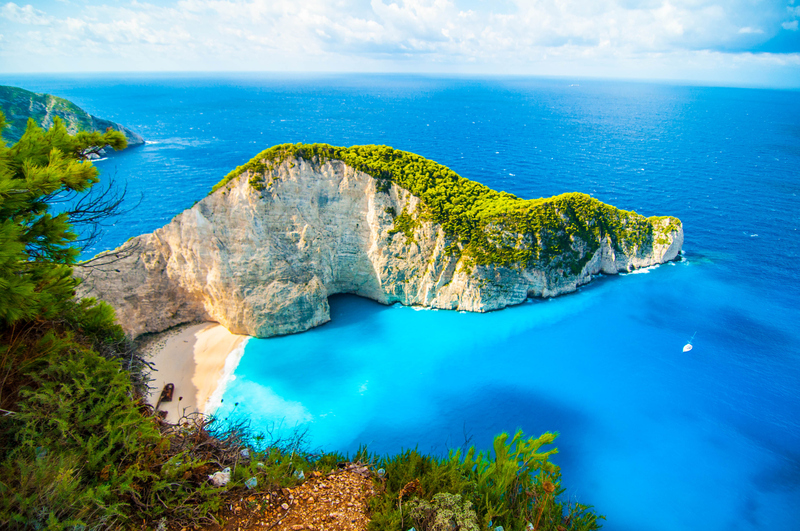 Also known as Zante, the island that has pumped out loud music and attracted teens from across the continent in recent years has much more to offer. You may be surprised to find an abundance of warm and inviting beaches, each offering a place to relax in peaceful and tranquil surroundings. The island is also home to an abundance of cliffs lining the coast, which pave the way for a series of excellent hiking opportunities. If you are lucky, you may even catch a glimpse of one of the native loggerhead turtles that like to nest in the area. Mykonos is one of the more cosmopolitan destinations of the Greek Islands and has risen to prominence as a popular beach destination. You will find solitude in plenty of areas across the island, however, and there are many historical and cultural landmarks worth exploring. 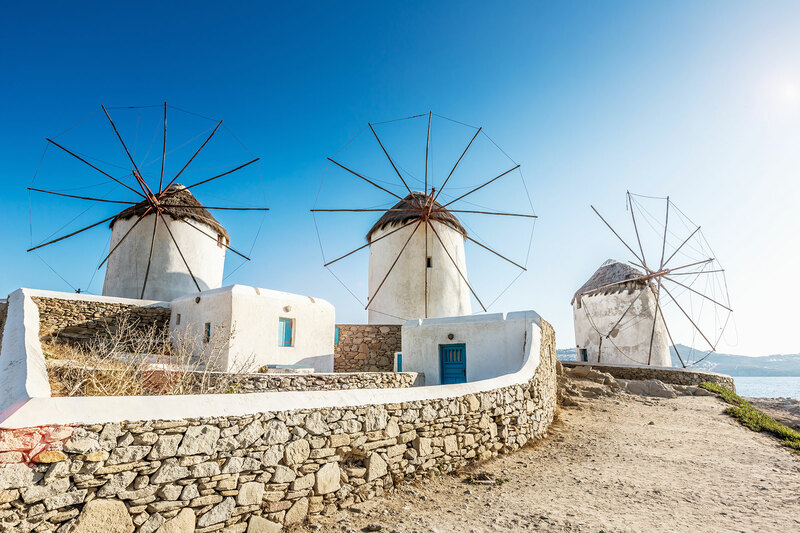 These including the 16th-century windmills, which reflect the island’s historical status as a major producer of wheat and bread. If you get the opportunity, it is well worth venturing a short distance across the sea to the nearby island of Delos, which is UNESCO World Heritage-listed and is known for its abundance of significant archaeological sites. With its iconic blue domes and hills that offer a glimpse of the incredible looming sunset; it is fair to say that Santorini could be considered the most impressive of all the Greek Islands. The island’s strange semi-circular shape is a result of a volcanic eruption around 1630 BCE, which led to the top of the island being blown into the air. 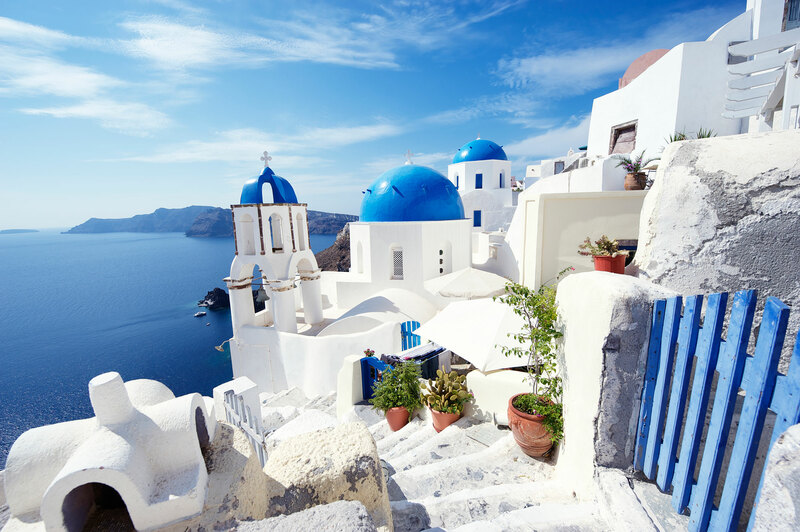 Take a moment to wander the streets of the island’s main town of Fira, taking in the white-washed houses. Alternatively, you can head to one of the beaches and soak up the blissful Mediterranean sun. While selected sailings out of the UK offer the chance to explore the delights of the islands of Greece, others open up opportunities to explore destinations throughout the Adriatic including Dubrovnik, Kotor and Venice. A cruise offers an ideal way to see all of these Mediterranean destinations and much more in luxurious style and within a short period of time. For more information or to make a booking, contact Cruises from the UK via the Freephone number above or complete the online enquiry form.